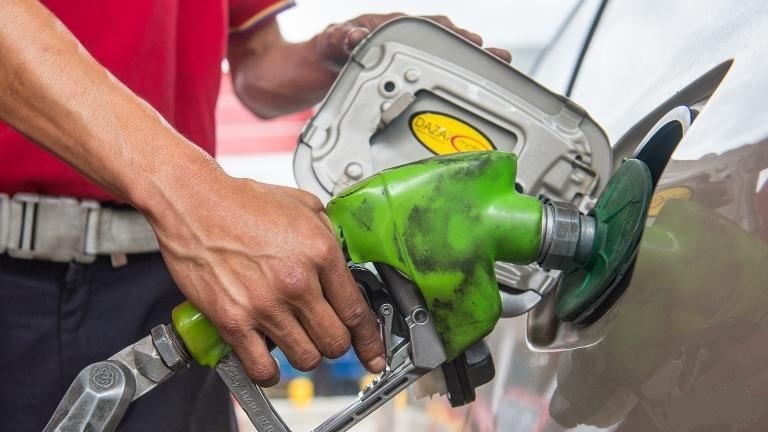 JNN 26 Aug 2015 NEW YORK—Oil prices plunged to fresh six-year lows Monday on concerns about a slowdown in Chinese demand and growing crude-oil supplies in the U.S.
Brent, the global oil benchmark, fell through its January lows to trade below $45 a barrel for the first time in six years. Brent settled down $2.77, or 6.1%, at $42.69 a barrel on ICE Futures Europe, the lowest settlement since March 2009. The U.S. oil benchmark settled down $2.21, or 5.5%, at $38.24 a barrel on the New York Mercantile Exchange, the first settlement below $40 a barrel since February 2009. Prices tanked overnight following an 8.5% decline on the Shanghai Composite Index, the biggest percentage decline since 2007. China is the second-largest consumer of oil after the U.S. Other commodity prices, including copper and soybeans, slumped Monday on worries about a slowdown in China. Also on Monday, data provider Genscape Inc. told clients that crude-oil supplies in Cushing, Okla., fell slightly in the week ended Friday but rose in the second half of the week, according to a market participant who viewed the report. Cushing is the delivery point for the benchmark U.S. oil-futures contract. Concerns have been growing that supplies at Cushing could rise to a new record this fall as refineries buy less crude while performing seasonal maintenance. Growing supplies at Cushing would likely further weigh on U.S. oil prices. Lower energy prices are considered a boon for consumers, who benefit from cheaper gasoline and heating oil. The national average retail gasoline price in the U.S. fell to $2.595 a gallon Monday, the lowest price for this time of year since 2004, according to AAA. Investors’ outlook for oil prices has grown more negative in recent weeks. As of Aug. 18, hedge funds and other money managers held the smallest aggregate bet on rising Nymex crude prices in nearly five years, according to the Commodity Futures Trading Commission. Crude-oil production has remained robust despite the large drop in prices in the past year, as U.S. producers cut costs and members of the Organization of the Petroleum Exporting Countries continue to produce at full tilt. In the U.S., the number of rigs drilling for oil has risen for five straight weeks, “offering no respite to oil bulls hoping that lower prices may curb production,” said TAC Energy in a note. Iranian Oil Minister Bijan Zanganehsaid over the weekend that if sanctions on the country’s oil exports are lifted, Iran will increase its output “at any cost,” Bloomberg reported. Gasoline futures settled down 7.39 cents, or 4.8%, at $1.471 a gallon, the lowest settlement since January. Diesel futures fell 6.95 cents, or 4.8%, to $1.3929 a gallon, the lowest price since May 2009. As per the Pakistani Market the Oil Prices , have risen to its Peak of Rs.125/Liter , when the International Oil Prices reached US$125/Barrel in July 2014 , But Since the Oil Prices have started declining in the International Market , The Local Prices of the Gasoline , has not been lowered according to the International Oil Prices parity , as Now the Oil Prices has slashed Under US$39.00/Barrel , but the Local Gasoline Prices are at Rs.77/liter , which can not be justified in any Manner. But the Ruling PML – N Govt , which is Under Heavy criticism , due to their Uncontrollable Corruption in the Government , and on the Other hand Patronage of the Corrupt Mafias , Ruining the Country , As the Money earned Due to High Rate of Indirect TAXES , and Keeping the Energy Prices at their Peak in the Country , which can be reduced , and the relief , which can be transferred to the Economy and the Poor People of the Nation , is instead added to the coffers of the Government , so that the Luxuries of the Govt Functionaries , and the Corrupt Practices of the Governing Elite can be maintained . This entry was posted in Pakistan News, United States and tagged Oil Prices, pakistan. Bookmark the permalink.